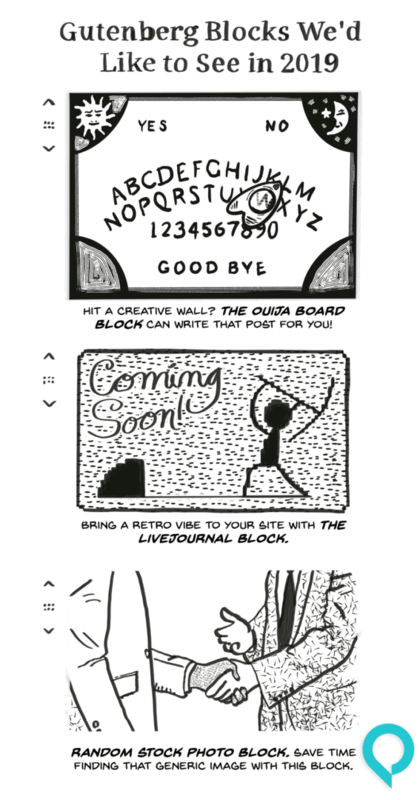 During his State of The Word Speech at WordCamp US, Matt Mullenweg mentioned some interesting Gutenberg block options that were available to download. That got us thinking about some Gutenberg blocks that we’d like to see in 2019. The post Torque Toons: Gutenberg Blocks We’d Love To See appeared first on Torque.